Duke Austin & Company can offer their clients an unprecedented level of independent experience and integrity. Duke Austin & Company have obtained multiple awards for their high level of safety and quality. Based on broad technical and commercial experience within the field of marine petro-chemical transportation, Duke Austin & Company can offer their clients an unprecedented level of independent experience and integrity. Long established as a market leader, our state-of-the-art management systems ensure that clients can rely on the job getting done. 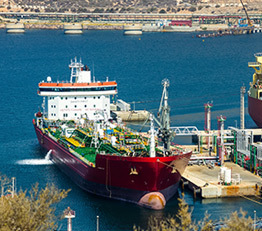 Duke Austin & Company Limited are one of Europe’s largest independent group of OCIMF inspectors offering a specialist service in both inspection and vetting of oil, chemical and gas tankers.